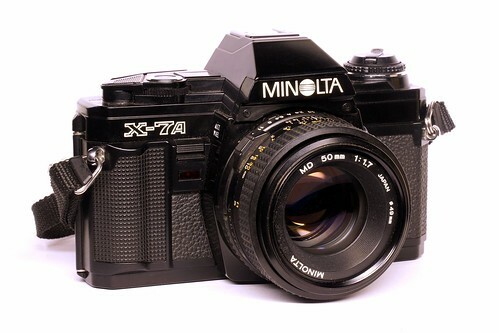 The Minolta X-7A is a 35mm manual focus SLR based on the MD mount released by Minolta in 1985. It is essentially the all black-bodied international version of the X-370 and was marketed in the U.S. and Canada. Like the X-370, it has no depth-of-field preview button or PC connector for off-the-camera flash. 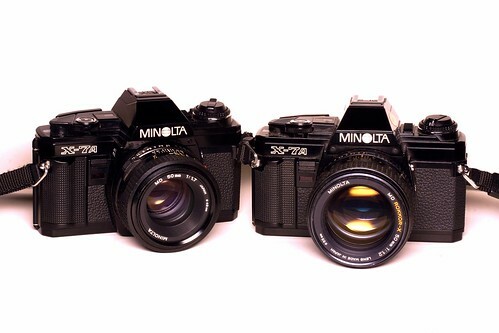 Synchs with Minolta X-series Auto Electroflashes at 1/60 sec.